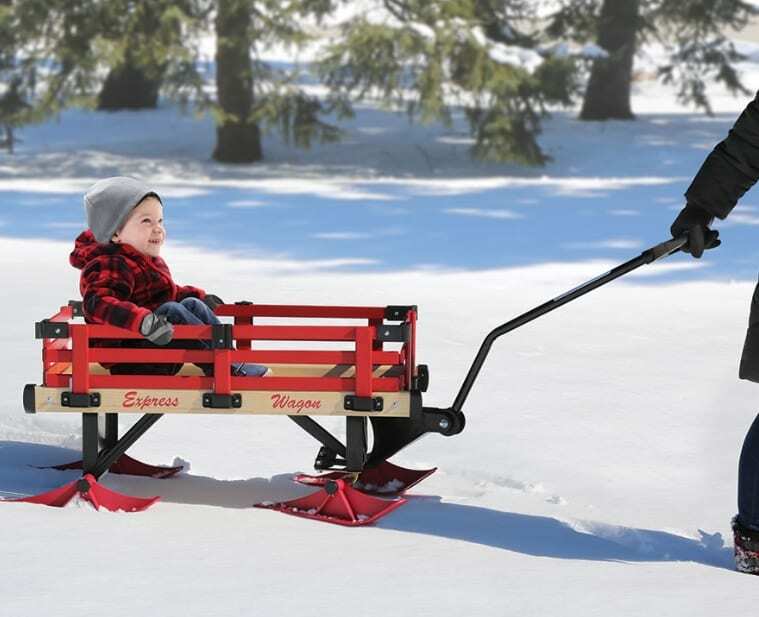 This is the snow-conquering sleigh that converts to a sand-friendly wagon. It slides on four ski runners that enable one to pull passengers through unplowed walkways or snow covered landscapes. When the weather warms, its skis remove and are replaced by four 8″-diameter wheels that transform the vehicle into a summertime conveyance. Its 16″ W x 33″ L wood deck accommodates riders in all seasons and supports up to 300 lbs. of kids or cargo.